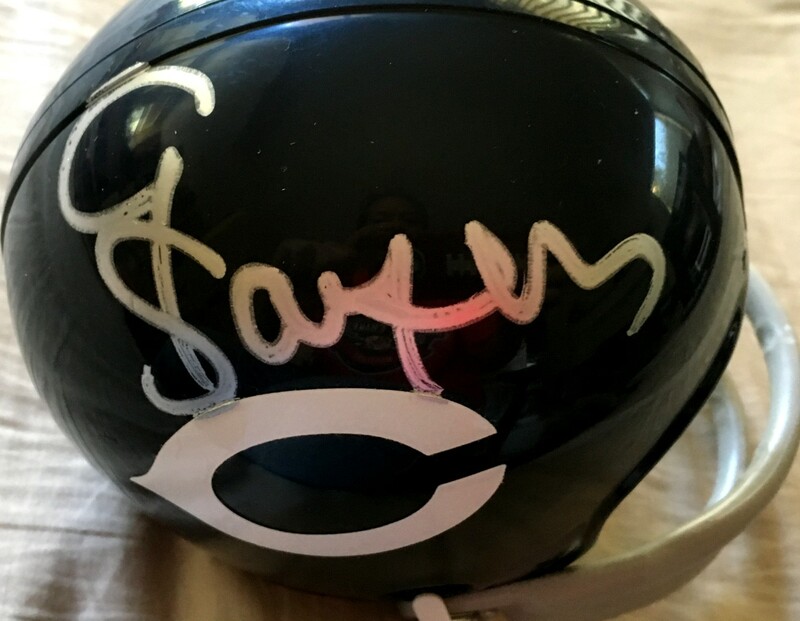 Chicago Bears throwback 2-bar facemask mini helmet autographed in thick silver paint (shorthand G Sayers signature) by legendary Hall of Fame running back Gale Sayers. Obtained in person. With certificate of authenticity from AutographsForSale.com. ONLY ONE LEFT.